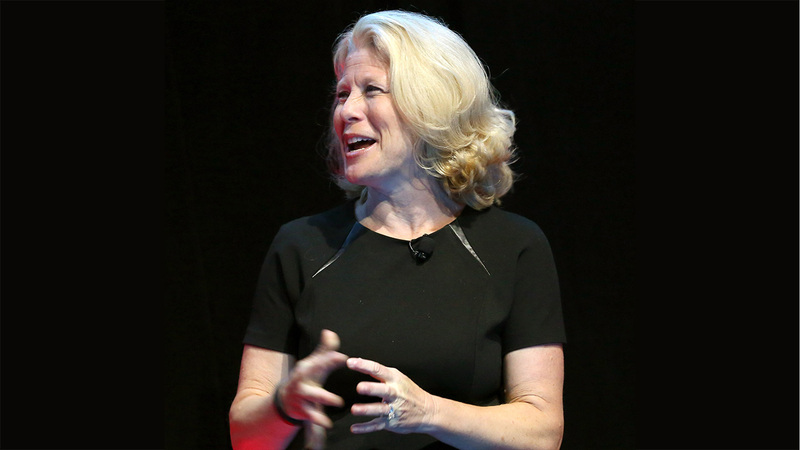 Fittingly, Linda Boff, General Electric's newly minted CMO, opened Thursday's Association of National Advertisers Master's Conference in Orlando by emphasizing the multinational conglomerate's storied history of being first, with experimentation and invention making up the digital industrial company's DNA. "GE does chase the shiny object, as you only get one chance to be out front," said Boff. "GE loves to be first, being unexpected, knowing who we are and embracing creativity. Spoils first go to the early adopters." The 123-year-old company's firsts have included everything from inventing light bulbs and LED bulbs to jet engines and MRIs. That spirit of creativity and investigation has extended to the company's digital efforts on Vine, Instagram, and just last week MikMak, an e-commerce app that runs shoppable infomerical-like ads. Being first, however, will only get brands so far. They have to have great storytelling, Boff stressed. "It's not enough to be first. The creative has to be great," she said. "If we are not committed to creating the best possible work, ad blocking, viewability—none of it matters." Boff pointed to a number of GE projects that aims to bring science to light, including the company's Periodic Table of Emojis in conjunction with a Snapchat campaign, as well as GE's sponsorship of The Tonight Show Starring Jimmy Fallon's recurring "Fallonventions" sketch. GE also installed a 12-foot super smoker at South by Southwest, which tracked smoke velocity and the brainwaves of festivalgoers chowing down on brisket. GE has focused its attention in recent months on storytelling. The company took inspiration from its 1950s TV and radio broadcast, General Electric Theater hosted by Ronald Reagan, and recently launched its Podcast Theater. Boff also touched on GE's partnership with Imagine Entertainment for an investigative series called Breakthrough, which will run on the National Geographic Channel. Launching Nov. 1, the six-part series will focus on the exploration of robotics, longevity and the brain.